The OCBA started the contest in 1994 to award a starter flock to an Ohio youth of up to 17 years of age. The purpose of the award is to introduce the youth to the enjoyment of raising and owning a purebred Cheviot sheep, as well as encouraging the growth of new Cheviot breeders in Ohio. The contest winner will receive the following: a one year membership in the (OCBA), one bred ewe the first year, one ram the second year and in the third year the youth will donate a lamb to continue the award. 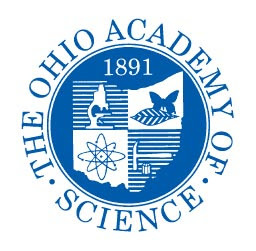 As a member of the Ohio Academy of Science, we know that you are as committed as we are to encourage young scientists who are headed towards careers in environmental science and environmental engineering in Ohio. As such, we would ask that you help spread the word to students at Ohio State University about a scholarship opportunity that we offer in conjunction with the Ohio EPA. available for students entering their final year in four-year and five-year programs. Up to $1,250 is available to second year students in two year degree programs at public or private technical and community colleges in Ohio. Ohio EPA Scholarship for further information and application instructions. We appreciate your continued support to further science education in Ohio. Post Graduate Scholarship – An award of $1,000, given to one (1) Stark Co. student taking advanced studies (Masters, PhD., or Dr. of Veterinary Medicine ) in food, agriculture, or environmental sciences. Application details are provided here. For additional information contact the Stark Co. Cattlemen’s Association, C/O Cathy Horner 13001 Sarbaugh St SW Navarre OH 44662. Deadline for application is August 1, 2012. In an effort to recognize the quality youth of Ohio, and to help those interested in furthering their education, the Ohio Expositions Commission has established a Scholarship Program. The purpose of these scholarships is to assist high school juniors and seniors (2011-2012) and graduates who are continuing their education at an accredited institution in an undergraduate course of study in any field. Scholarships will be awarded to junior exhibitors during the Ohio State Fair. Applicants will be judged on Scholastic Standing, Citizenship and Leadership, Ohio State Fair Participation, County Fair Participation, and Financial Need. The Scholarship Committee reserves the right to NOT issue a scholarship if no applicant fulfills the requirements. The Governor James A. Rhodes Junior Fair Endowment Fund Scholarship – This scholarship is open to all junior fair exhibitors who will be incoming freshmen or undergraduate students at The Ohio State University College of Food, Agricultural and Environmental Sciences, or OSU-ATI, Wooster. You may apply for this scholarship as well as any one of the Ohio State Fair Scholarships. who meet the other criteria may be considered. Once again The Christopher Seifert Memorial Scholarship is available! Applications are due by July 31st. Haven’t applied yet? Don’t forget, applications are due by August 1st 2011! Here’s a link to the Rules and Application!